Schuessler et al  were the first one to do laparoscopic pyeloplasty in 1993. Since then, several centers have published their experience. 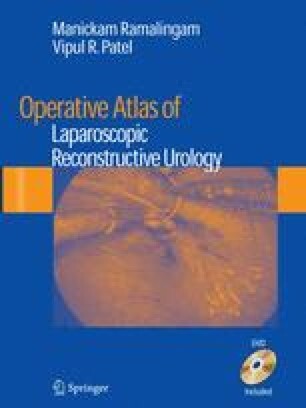 Today laparoscopic pyeloplasty is an established alternative procedure to the standard open technique in ureteropelvic junction (UPJ) obstruction [6–9]. Though morbidity in antegrade or retrograde endopyelotomies is low, the success rates are around 75% only and not suitable if there is a vessel crossing the UPJ .